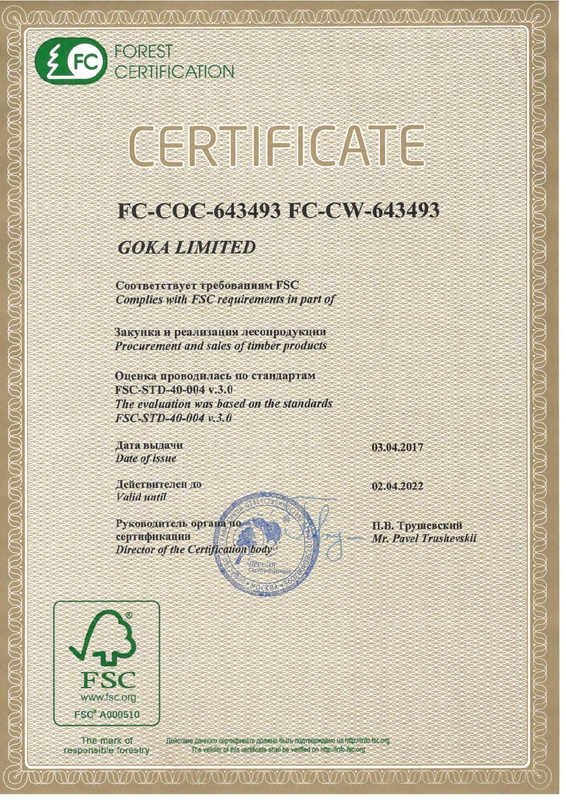 To comply with the requirements of international standards, legislative and other requirements in the field of the technological chain, certified by the FSC system. To sell FSC certified materials purchased from FSC certified suppliers who are authorized to sell timber from FSC certified wood. 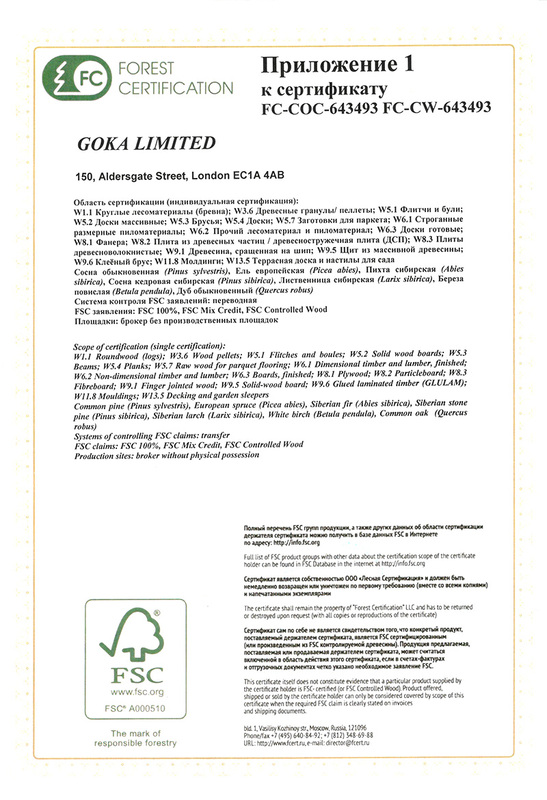 To carry out independent control over the origin of timber purchased from non-certified suppliers. - violation of any of the ILO Core Conventions as defined in the ILO Declaration on Fundamental Principles and Rights at Work (1998).